Hi All & Happy Superbowl Sunday! 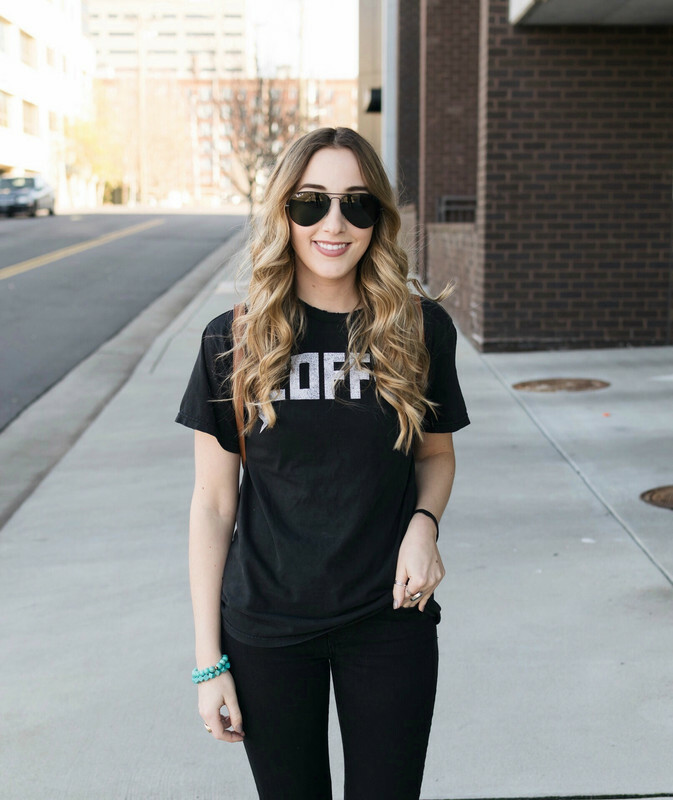 I thought Today would be the perfect time to share with you some Athleisure items I'm eyeing. So many cute items have been released recently. I love to wear pieces like these to run errands, grab a coffee, and hang around home. The nice thing about Athleisure is that it's comfy while still looking stylish and put together. Sometimes I want to wear a 'cute' outfit but don't necessarily want to be all dressed up- Athleisure is the perfect option for those days! What are your favorite Athleisure pieces to wear? I'd love to know! I love athleisure, the Nike Tanjuns are my fave! 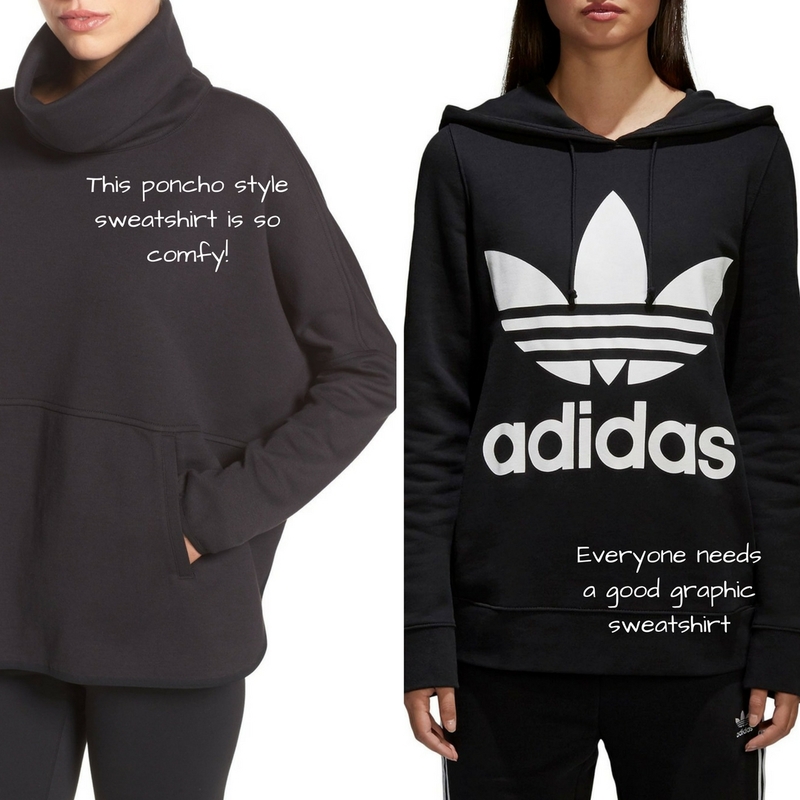 Oooh that poncho sweatshirt looks so comfy! I got really into tennis shoes last year and I might need to grow my collection with those blush Nikes! OMG that blush Nike Sneaker is so pretty!! mmm i liveee in athleisure! I typically rock lululemon and elephant pants but love that poncho sweatshirt! I want those blush Nikes so bad. They're so cute. I'm in need of some new everyday tennis shoes. I really like the blue ones you say you have, I'll have to check them out. Do they run narrow? That's an issue I have with some tennis shoes. Those leggings make me wish I could just wear athleisure to work. Especially the mesh-detailed ones! Athleisure is the best! It's so comfy -- especially the pants! 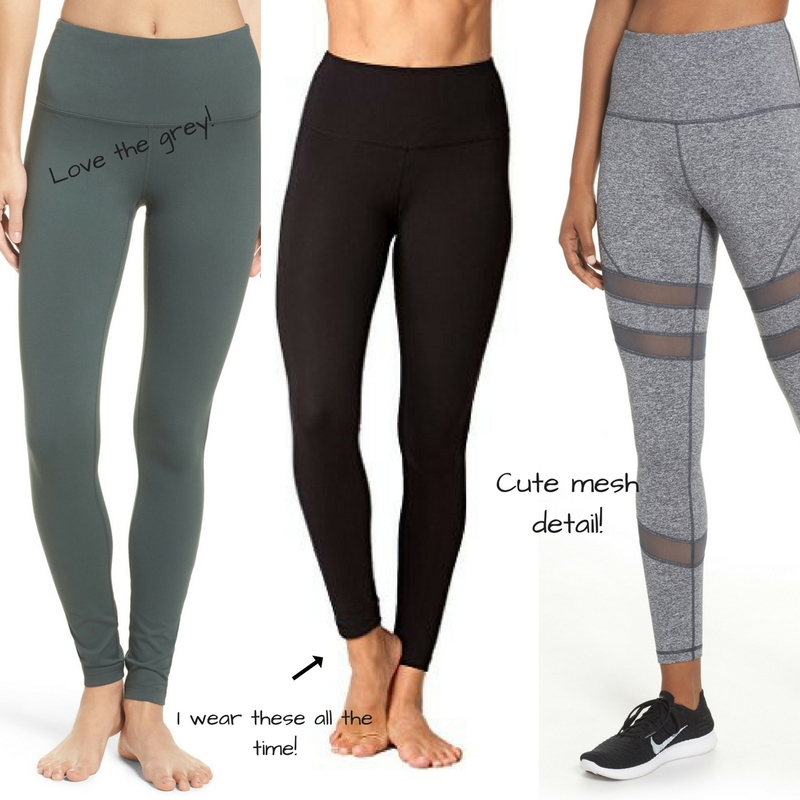 Leggings with mesh are my fave right now, so that pair in your list is definitely my favorite! I am OBSESSED with athleisure-wear! It's my favorite, love your picks! I have those same blue suede adidas (wearing them right now, haha) and I can vouch for you, they're so comfortable for running around! If I could wear athleisure every day, I would possibly be the happiest person in the world! Haha. 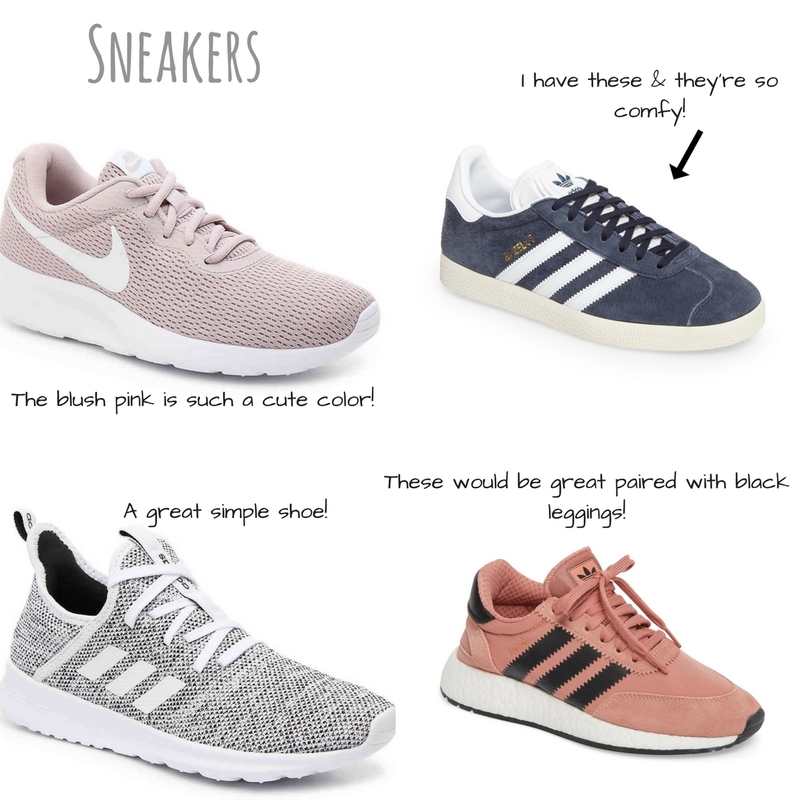 So many cute picks, especially the blush tennis shoes! I have a really similar gray pair. I'm such a sucker for cute workout gear! Love all your picks! I have a pair of Nikes (black and white) that are SO comfortable and perfect for running errands!